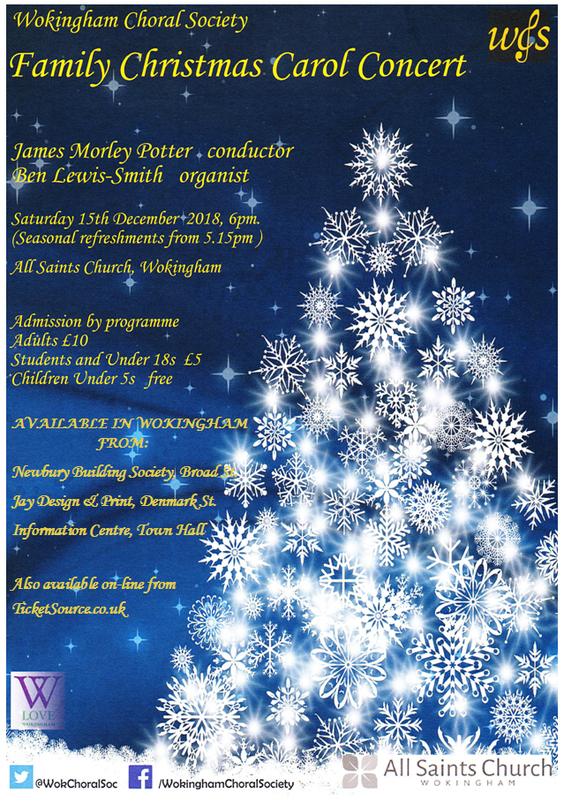 This page lists every concert performed by Wokingham Choral Society since it was founded in 1951. Where possible, links are provided to details of soloists, orchestras and conductors. Regrettably, few details are known of the very earliest concerts, save the music that was performed and the name of the Musical Directors at the time. It is uncertain if the same MD conducted all the concerts throughout the 1950s. Prior to 1992, details of Christmas performances have not been listed, though they occurred nearly every year. Press review of the concert. 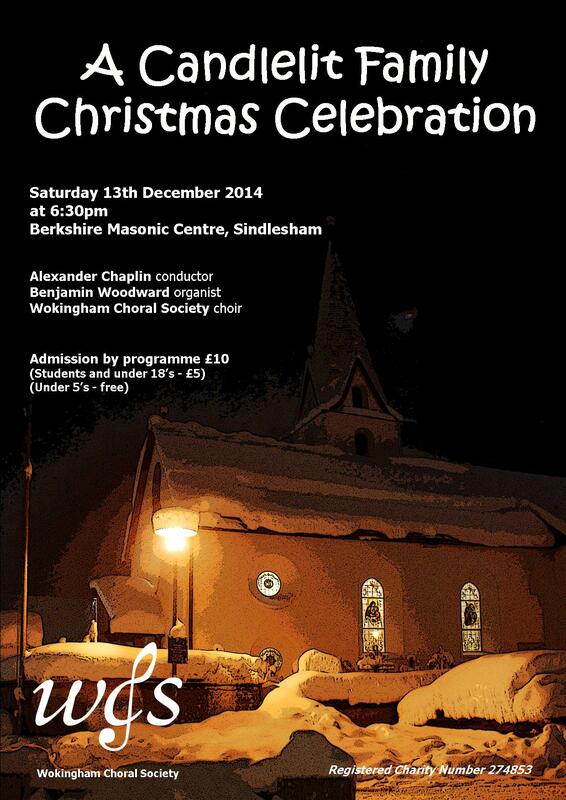 plus several soloists from the choir. 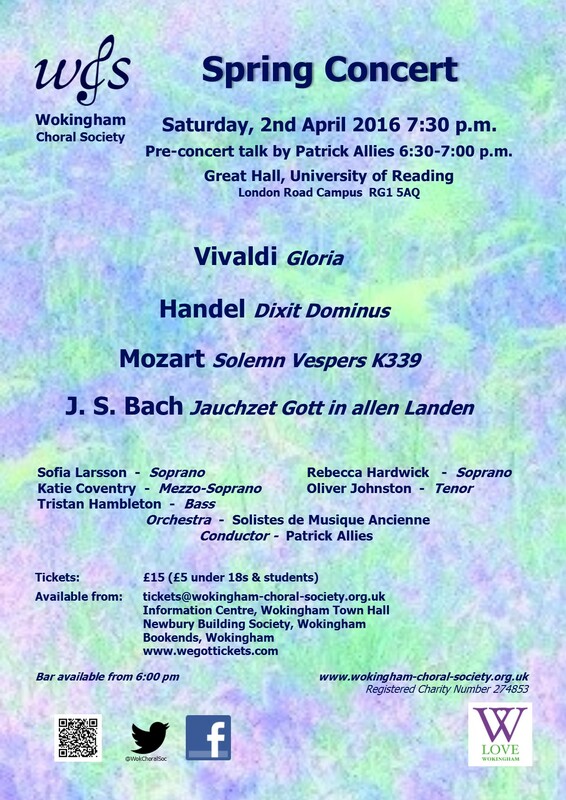 plus soloists from the choir. 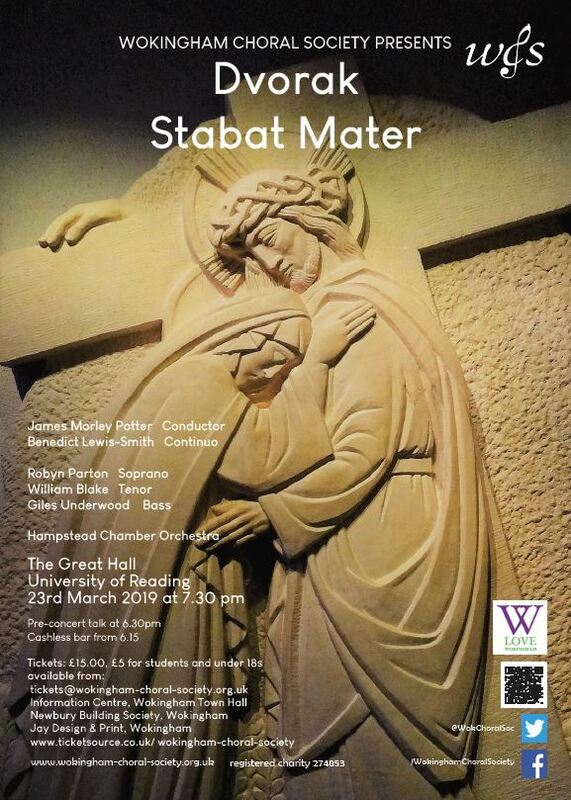 Download the concert poster or download the full programme. 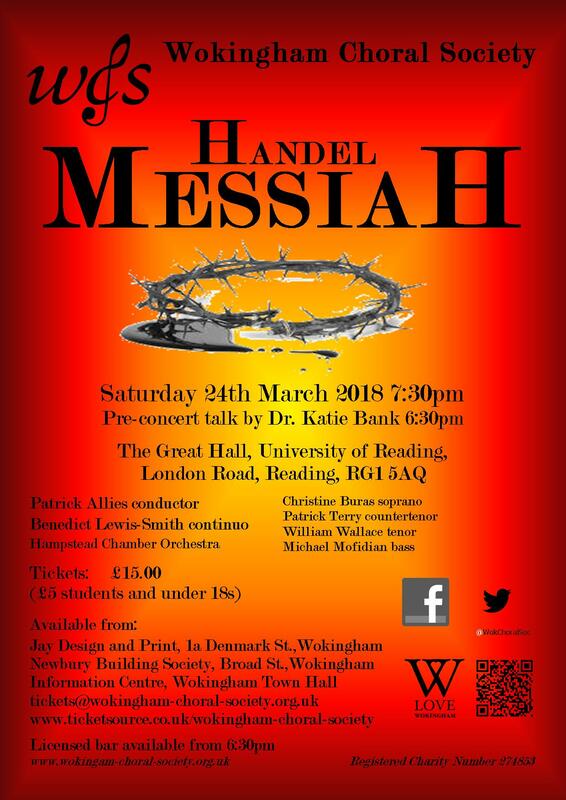 Including George Shearer's 'Songs and Sonnets' and pieces by Bach, Palestrina, Victoria, Viadana, Elgar, Fauré, Bruckner, Franck, Rheinberger. With London Productions Orchestra (Percussion). 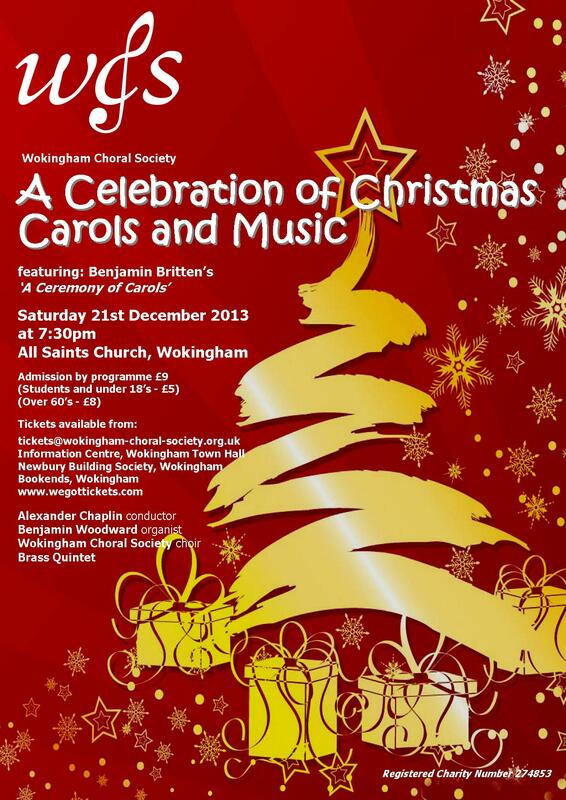 Soloists from WCS: Nigel Mellor (Bass) & Bob Jenkins (Bass). 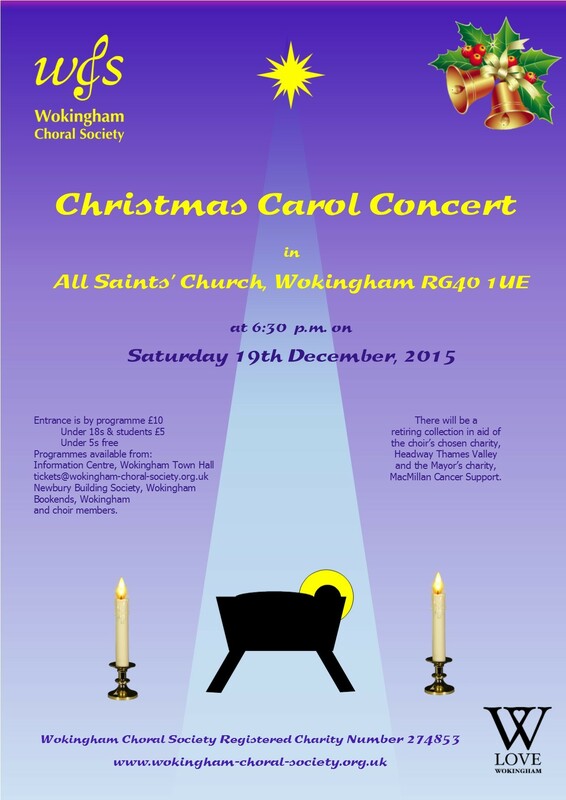 Carols for choir and audience. A celebration of music and readings. The story of Elgar's remarkable rise to fame and a selection of his best-loved choral and instrumental works. John Bunyan's classic tale in a dramatic sequence of words and music. Charles-Marie Widor arr. David Willcocks:Sing! 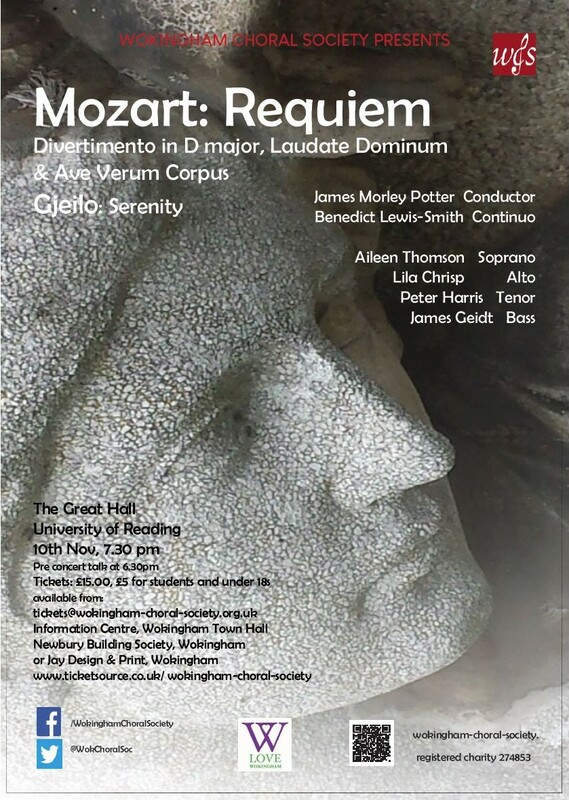 Felicity Hammond had to withdraw from the concert due to illness. Her place was taken at short notice by Jeni Bern. Jane Webster and Sarah Connolly were indisposed, and their parts were taken at short notice by Lesley-Jane Rogers and Louise M..